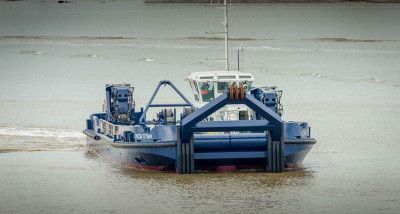 London Titan plays a vital role keeping the tidal Thames clear of obstructions, marked and safe for anyone to use – from container ships to cruise liners, ferries to rowing boats. 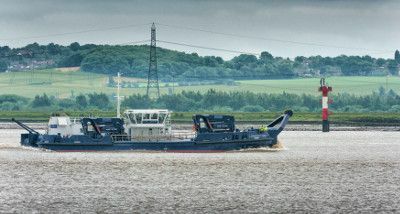 Titan’s duties include: mooring maintenance; laying and recovering navigation buoys; hauling wreckage from the riverbed; supporting diving operations; and small scale plough dredging operations. Our single largest investment in more than 20 years, London Titan is specially designed to work along virtually all of the 95 miles of the tidal Thames we look after. She is squat and shallow enough to negotiate bridges as far upriver as Richmond, and robust enough to operate in the outer estuary. London Titan was built by Manor Marine in Portland, Dorset to a design developed by UK-based naval architects MacDuff Ship Design, working in close collaboration with PLA marine engineers, masters and crews. She was launched on 21 February 2015.